As we know, iOS only allow us to have 5MB Database if we use web-base application. I also faced the same problem when i’m doing application that need more than 5MB Database size on iPad / iPhone using PhoneGap as a wrapper. 1. We cannot define / open database with more than 5MB size allocation. 4. Databases file is stored in ‘~/Library/WebKit/Databases/file__0’ path. 5. 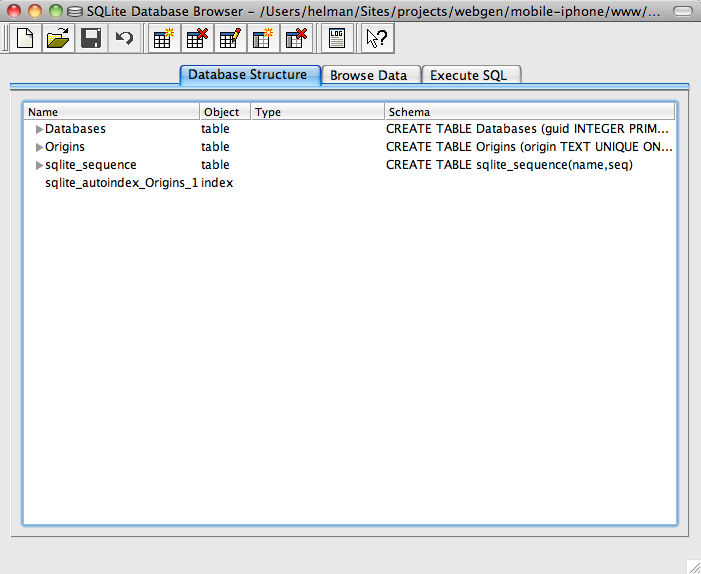 ‘~/Library/WebKit/Databases/file__0’ folder has limit definition (5MB) in Databases.db under origin table. You are currently browsing entries tagged with 5MB Databases Limit at Helman's Blog.